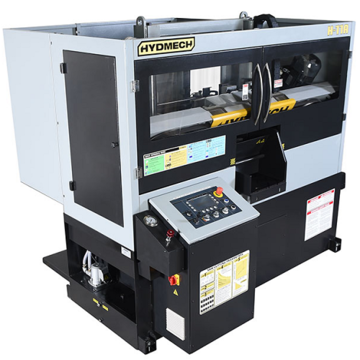 Give production the edge it needs with Hyd Mech profitable sawing solutions. For the past 40 years, Hyd Mech has left the competition behind and continues to lead the world today in metal band saw technology. 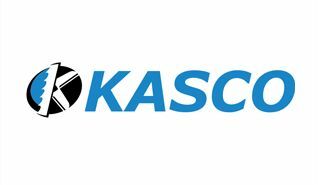 With some of the industry’s top engineers, we’ve pioneered new innovations and products that have revolutionized the sawing industry with incomparable reliability and durability. Second to none, Hyd Mech is The Rock-Solid Solution. 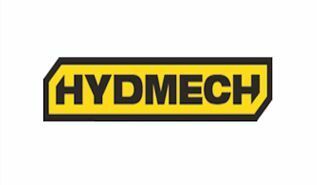 These and all Hyd Mech products are backed by an extensive world-class network of technicians, sawing specialists and your Industrial Bandsaw Services staff. Best of all, Hyd Mech products are all designed to use off-the-shelf-parts, so you are assured quick repairs when needed. Big performances come in small, compact packages. These are some of the smallest saws Hydmech offers, but they offer the same big, tough performance as our larger saws. 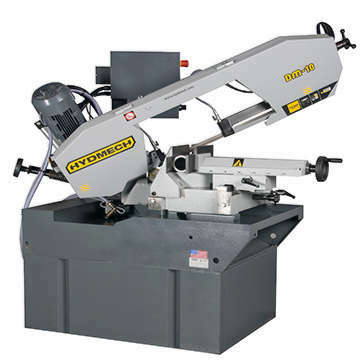 The DM-10, DM-12, and DM1318P are all double miter saws. 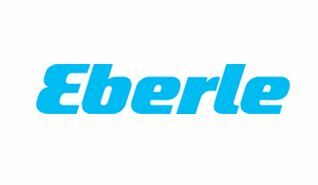 These are versatile, miter-cutting, scissors style machines designed for multiple medium duty applications at oil refineries and machine shops, fabrication shops, trailer manufacturers, automotive shops, and more. 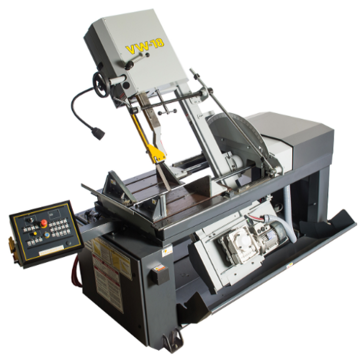 Saw models are available in manual, semi-automatic, and fully-automatic models, with the mitering capability up to 60º. Big, exceptional straight cuts found right here! 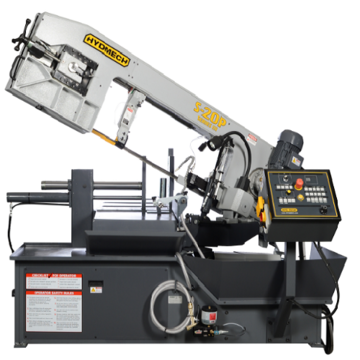 Designed for multi-shift, high-production environments, Hydmech H-Series saws are horizontal, guillotine saws that deliver big straight cuts – up to 80” – fast. The V-Series saws are built to last and deliver non-stop performances. These are heavy-duty, high-performance vertical tilt frame saws that have the flexibility for cutting two-way miters. 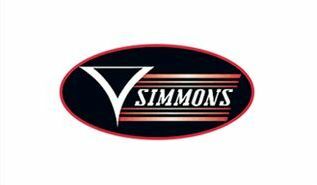 The V Series is available in semi-automatic and automatic modes of operation with cutting capacities up to 30″ and bar feeds from 40” to 120”.